WHAT CAN I DO IF I AM BEING BULLIED BECAUSE OF MY DISABILITY? SEND bullying is motivated by prejudice against people who have a Special Educational Need or Disability (SEND). This type of bullying can also be carried out to people who have a perceived SEND, which means some people may treat a physical or ‘behavioural’ characteristic of another person as a SEND, and bully someone because of that, even though that person does not consider they have a disability. Like other types of bullying, disablist bullying can take many different forms and happen online, via phone or in the physical world. SEND bullying is unacceptable. No one has the right to treat you differently because you have, or because they perceive you to have, a special education need or disability. Tell someone - If possible make it an adult you trust such as a parent, guardian or teacher. 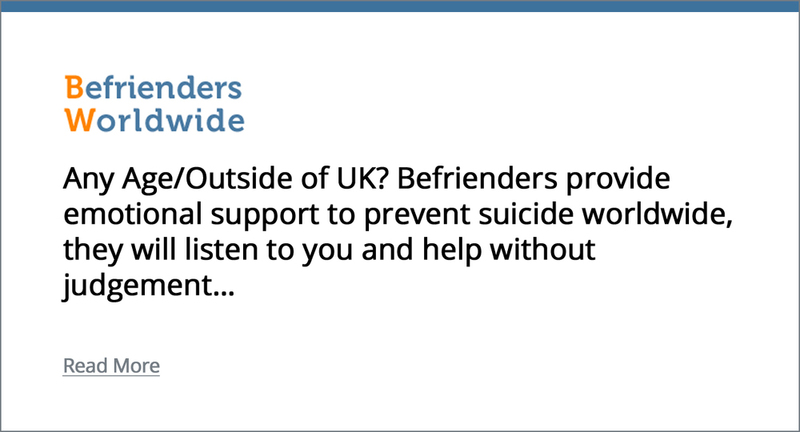 You could also tell a friend for support or get support online through organisations like Childline UK or Ireland. Stay safe - If you’re worried about racial and religious bullying in the playground or walking home from school, you could hang around with people you know and trust. If the bullying is taking place online you can change your privacy setting or mute, block, or report the perpetrators. Gather evidence - You should always write down who has been saying what to you, the date, time and location this has taken place, and save/screenshot any messages received online. It's not your fault - When you’re going through a difficult time it might be hard to accept this, but it’s important to remember that you haven’t caused the bullying. WHAT CAN I DO IF MY STUDENTS HAVE REPORTED BULLYING BECAUSE OF THEIR DISABILITY? SEND bullying is against the law as the Equality Act of 2010 outlines that schools and governing bodies have a duty to ensure that students do not face any form of racial discrimination, including attacks and harassment. It is important that you support the child being bullied and reassure them that the issue will be resolved. Ask the child to write down the facts of what has happened before follow school protocol. SEND bullying should always be reported on the school’s internal system. WHAT CAN I DO IF MY CHILD IS EXPERIENCING BULLYING BECAUSE OF THEIR DISABILITY? If a child speaks to you about bullying, the most important thing to explain is that what is happening is not their fault and it’s a good thing they have approached you about it. Bullying can make a child feel ashamed and scared, and they’ll be most worried about how you’ll react when they tell you. Try to stay calm, reassure them and ask questions about what your child wants you to do to help them. Schools are bound by law by the Equality Act of 2010 to ensure that students don’t face any form of discrimination. If you and your child decide to report this to the school it is important to write down the facts of everything that has happened in the incident – remember the 4W’s: who, what, where, when. When the child is experiencing bullying, they feel the power is taken away from them – it is important to ensure they need to have a final say in what happens so talk to them and together come to a decision about the next stops. Newer PostI AM SELF-HARMING WHAT CAN I DO? Older PostWHAT CAN I DO IF I AM BEING BULLIED BECAUSE OF MY RACE OR RELIGION?